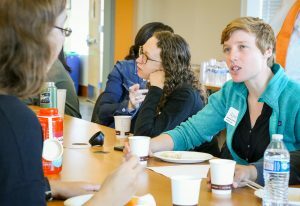 Students have breakfast at a Women in CCE event in Kearney Hall. While CCE has made great strides in increasing the number of female faculty members, the school continues its work in encouraging women to pursue degrees in civil and construction engineering. Erica Fischer, assistant professor of structural engineering, developed a new program, Women in CCE, to support that effort. 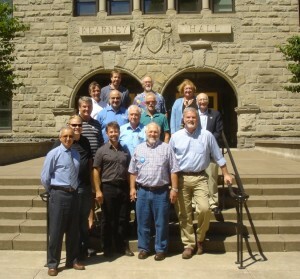 The program kicked off with a dinner in the Kearney Hall atrium, followed by a breakfast and industry panel. 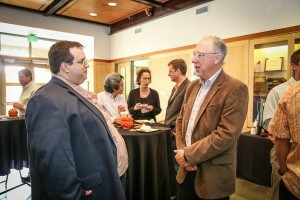 The first step in the program was for faculty members to introduce themselves to students in an informal setting – and introduce students to one another. The program events are open to all students – of any gender – and all faculty members, so students have more opportunities to connect and develop mentors. About 50 students participated regularly in the events and the school will conduct a survey on climate and culture annually to identify what’s working well and what isn’t. “I’m sure we’re already doing a great job building community but we can always do a little bit better,” Fischer said. ODOT Director Matthew Garrett (second from right) listens to members of the Oregon Work Zone Executive Strategy Session Committee at a meeting held at Oregon State. Regional organizations are working together to reduce the frequency and severity of crashes in work zones. 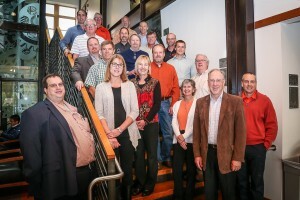 In winter, Oregon State hosted the Oregon Work Zone Executive Strategy Session Committee with participants from the American Automobile Association, Associated General Contractors Oregon-Columbia Chapter, Oregon Trucking Associations, Oregon Department of Transportation (ODOT), and the Oregon State Police. 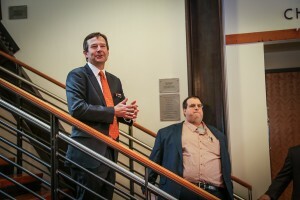 Chaired by ODOT Director Matthew Garrett, the committee works to ensure safety and maintain mobility within work zones. By collaborating with fellow committee members, Oregon State researchers can demonstrate capabilities and contribute statewide on improving work zone safety. 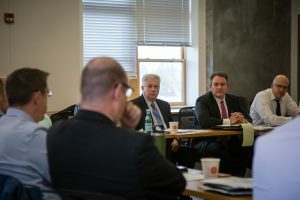 “This significant multifaceted collaboration is uncommon in other states,” said David Hurwitz, associate professor of transportation engineering and committee member. 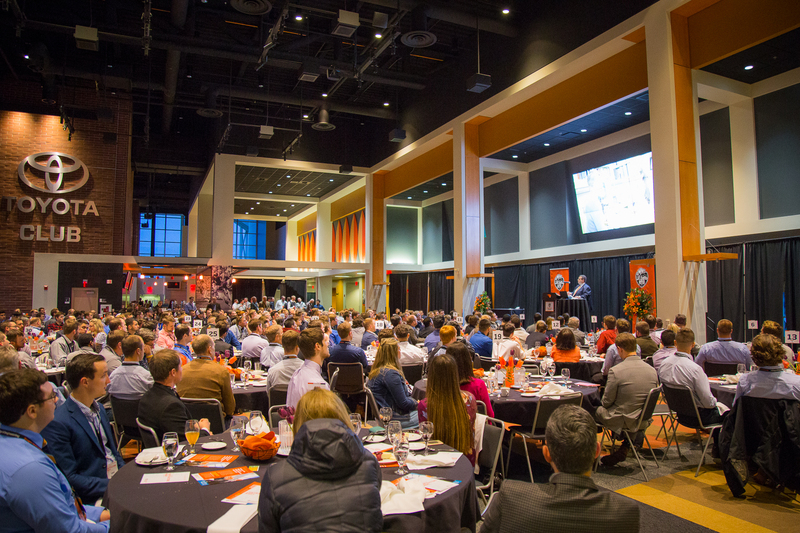 Held at Reser Stadium, the 47th annual Contractors Night hosted 400 guests and featured presentations from Ronald Fedrick, chairman and chief executive officer of Nova Group Inc. and chairman of the Trustees of the Beavers Charitable Trust, and Matthew L. Garrett, director of the Oregon Department of Transportation. Additionally, School Head Jason Weiss introduced the Complex for Resilient Infrastructure and Safety (CRIS), a revolutionary new 40,000-square-foot facility, which will further enable groundbreaking research. 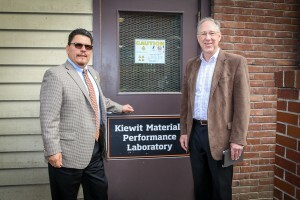 With the goal of developing major improvements in worker safety, the lab will provide a virtual construction environment that replicates real-world job sites and more. Learn more and view a video on CRIS at cce.oregonstate.edu/CRIS. The Oregon State University College of Engineering will host the 2014 OSU Engineering Expo on Friday, May 16, from 11:00 a.m. to 4:00 p.m. at the Kelley Engineering Center. This year’s Senior Design Showcase features nearly 200 student-built projects from across the college’s six schools. The Expo is a great learning opportunity for high school students who are interested in science and technology or may be considering a career in engineering. 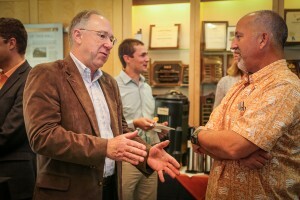 In addition, the expo demonstrates the College of Engineering’s full support of the statewide initiative led by the Engineering and Technology Industry Council (ETIC) to address the issue of “T-shaped” professionals, a term referring to individuals who have depth of technical knowledge paired with skills, such as communication and teamwork, that cross over individual disciplines. Sandy River Bridge – Students are designing a 200-foot boardwalk and bridge/overlook structure to replace a boardwalk that was destroyed in the floods of 2012. Sponsored by the City of Corvallis Parks and Recreation Department, the project will incorporate recycled materials from the previous boardwalk. The students design documents will be used to secure grant funding to construct the project. EWB Belize Water System Design – Students are designing an irrigation system to transport water for agricultural use to the Valley of Peace in Belize. The irrigation system will include pumping, storage, and irrigation components using locally available materials. This project is sponsored by the OSU chapter of Engineers Without Borders. ODOT US-97 MP190 Wildlife Crossing Proposal – Students are designing a structure to facilitate safe crossing of wildlife across US-97. The project will result in not only reduced wildlife fatalities, but reduced automobile crashes, injuries and deaths. This project is sponsored by the Oregon Department of Transportation. The expo, in its 15th year, is free and open to the public and will also feature lab tours and a Robo*Palooza, which includes the TekBot® Triathlon, an award-winning Mars rover, and FIRST robots from local high schools. For more information about the expo, or to reserve a lab tour for over 20 guests, call 541-737-3101.